britnie harlow: Free People "Hybrid." Its been some time since my last post, so I figured I'd show off my beautiful new beauties that arrived last week in the mail! 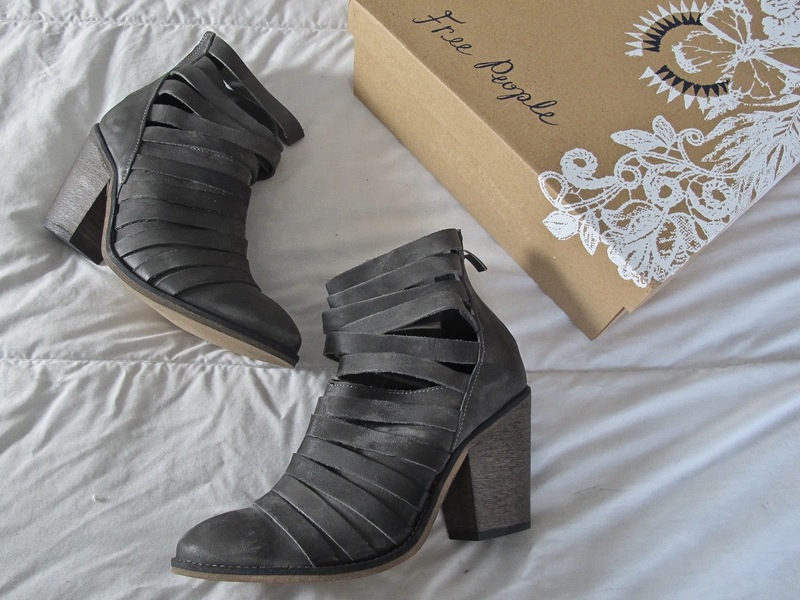 These Free People "Hybrid" ankle boots come in three different colors, and now I want them in every single one. These are the "charcoal" colored ones. Not quite black, not quite grey. They are a nice distressed color and perfect heel height for all day comfort. They are the perfect boots for the transition of seasons with the super cute cut-out design that can be worn with white skinnies or maybe a dress this Spring.